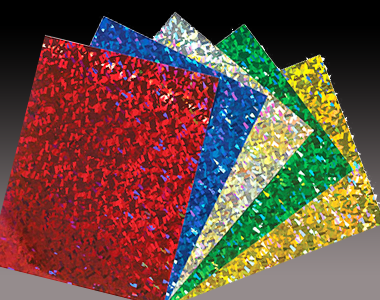 Hologram Paper is one of the most common packaging materials seen today. While holographic paper and Paper /paper Adhesive/ paperboard can be used in the same ways as plain metalized paper/paperboard, holography brings its own unique kinetic effects that greatly increases a products’ shelf appeal. Mazan holoTech paper products consist of two families: eco-paper/paperboard™ and film laminated paperboard. Both products feature bright, colorful refractive hologram patterns and excellent printability.